The relationship between trauma volumes and patient outcomes continues to be controversial, with limited data available regarding the effect of month-to-month trauma volume variability on clinical results. 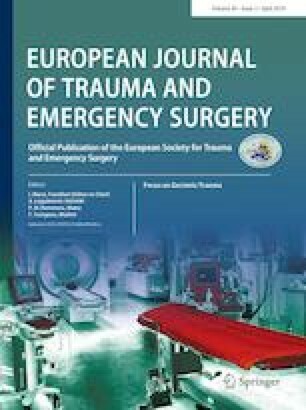 This study examines the relationship between monthly trauma volume variations and patient mortality at seven Level I Trauma Centers located in the Eastern United States. We hypothesized that higher monthly trauma volumes may be associated with lower corresponding mortality. Monthly patient volume data were collected from seven Level I Trauma Centers. Additional information retrieved included monthly mortality, demographics, mean monthly injury severity (ISS), and trauma mechanism (blunt versus penetrating). Mortality was utilized as the primary study outcome. Statistical corrections for mean age, gender distribution, ISS, and mechanism of injury were made using analysis of co-variance (ANCOVA). Center-specific, annually-adjusted median monthly volumes (CSAA-MMV) were calculated to standardize patient volume differences across participating institutions. Statistical significance was set at α < 0.05. A total of 604 months of trauma admissions, encompassing 122,197 patients, were analyzed. Controlling for patient age, gender, ISS, and mechanism of injury, aggregate data suggested that monthly trauma volumes < 100 were associated with significantly greater mortality (3.9%) than months with volumes > 400 (mortality 2.9%, p < 0.01). To account for differences in monthly volumes between centers, as well as for temporal bias associated with potential differences over the entire study duration period, data were normalized using CSAA-MMV as a standardized reference point. Monthly volumes ≤ 33% of the CSAA-MMV were associated with adjusted mortality of 5.0% whereas monthly volumes ≥ 134% CSAA-MMV were associated with adjusted mortality of 2.7% (p < 0.01). This hypothesis-generating study suggests that greater monthly trauma volumes appear to be associated with lower mortality. In addition, our data also suggest that across all participating centers mortality may be a function of relative month-to-month volume variation. When normalized to institution-specific, annually-adjusted “median” monthly trauma contacts, we show that months with patient volumes ≤ 33% median may be associated with subtly but not negligibly (1.4–2.3%) higher mortality than months with patient volumes ≥ 134% median. This scientific work was presented at the Society of University Surgeons New Member Poster Session during the 12th Annual Academic Surgical Congress, Las Vegas, Nevada, February 7–9, 2017. The authors would like to acknowledge the generous help from the following individuals (alphabetically by last name): Scott Eley (OSU), Peggy Rhoades (OSU), Noelle L. Saillant (BIDMC), Holly Weber (SLUHN), and Rebecca Wilde-Onia (SLUHN). Without their assistance this study would not be possible. Drs. Stanislaw P. Stawicki, Keith Habeeb, Niels D. Martin, M. Shay O’Mara, James Cipolla, David C. Evans, Creagh Boulger, Babak Sarani, Charles H. Cook, Alok Gupta, William S. Hoff, Peter G. Thomas, Jeffrey M. Jordan, Weidun Alan Guo, and Mark J. Seamon declare no conflicts of interest related to this scholarly work. The conduct of this study was approved by Institutional Review Boards at each participating institution. Research procedures have been performed in accordance with the ethical standards laid down in the 1964 Declaration of Helsinki and its later amendments.